Dragon Gate is a magnificent ridge of only 12 hillside lots on one private street. From this heightened elevation, one can see views of the Las Vegas valley, its mountain range and the Las Vegas Strip. These custom-home sites are intended for multilevel estates. The upper hillside will be left in its natural state while the lower hillside will be transformed into stepped lots for a cascading home design. The home sites range from 1/2 acre to 3/4 acre parcels with prices starting at $800,000. Included with the purchase of each lot is a golf membership to DragonRidge Country Club. Glenbrook Canyon is a hidden canyon of majestic rock formations with 14 mountainous custom-home sites available. 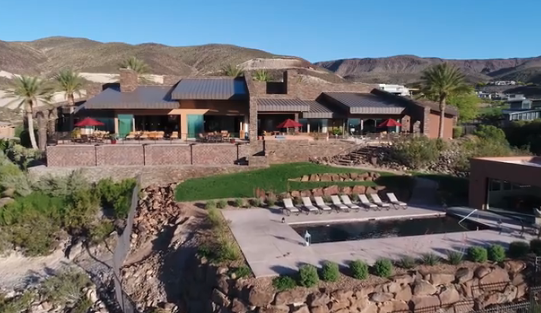 Sequestered behind its own privacy gates with an oasis themed entry, Glenbrook Canyon presents buyers with their choice of mountain top or hillside acreage. All of the home sites have commanding views of the Las Vegas valley. These custom lots range from 0.84 acres to 2 acres and are priced from $950,000 to $2,100,000. Included with the purchase of each lot is a golf membership to DragonRidge Country Club. An opportunity to build or purchase a home here should not be missed, as MacDonald Highlands is easily the pinnacle of what it means to live a life of luxury here in Las Vegas. For more information on this luxury real estate in Henderson, Nevada, visit our website or contact Kristen Routh-Silberman at 702-467-7100.